Early settlers in the Row River Valley were primarily farmers. Most of the farms were subsistence only but there was some commercial farming in the area. The England Farm at the base of Cerro Gordo. The Doolittle and Bales families on Rat Creek both had commercial orchards. They shipped their fruit by railroad to Portland and from there to points east including New York. High shipping costs put these two ventures out of business. 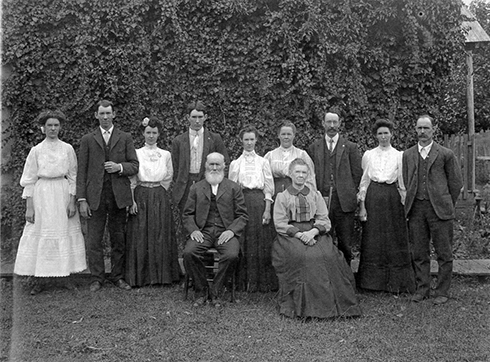 Members of the Bales and England families, old Row River Valley farmers. The Stewart Farm further up the valley was mainly a cattle operation but was also known for its gooseberries. 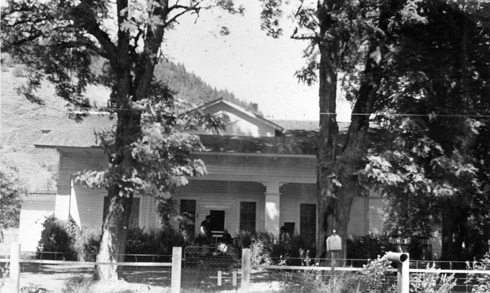 The Stewart Farmhouse in the 1930s. The Stewarts on the road in front of their farm. Grain Display by the Currin Farm. Photo is courtesy of George Currin. The Grain Display by the Currin Farm won 1st place at the Lane County Fair in 1911. 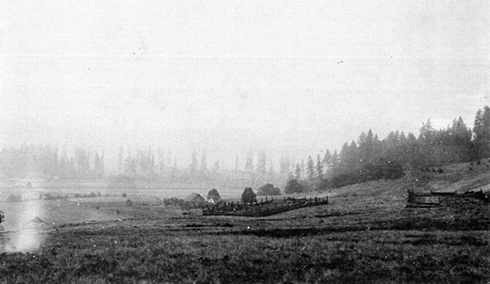 The Currin Farm was where the Dorena Grange is now located. This entry was probably part of the Dorena Grange’s exhibit. 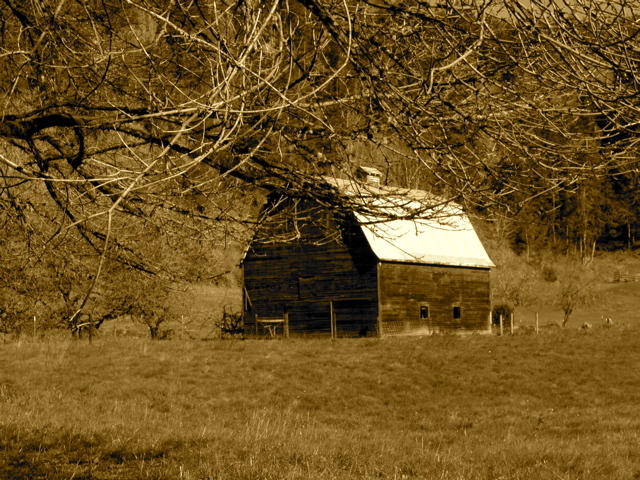 Barn at the old Wicks farm. There is actually more commercial farming going on in the Row River Valley today than at any other time. Check out rowrivervalley.com to catch up with our local farmers.